We are proud to announce that we finished version v0.7! 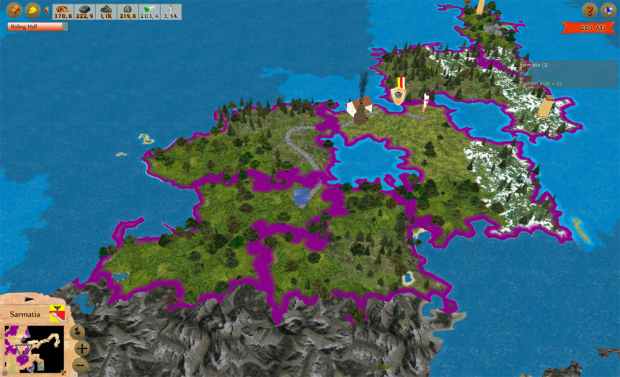 The most fundamental change in this version is the addition of sound effects and music, moreover we have polished user interface, added tutorial and features like land improvements and territories. We are proud to announce that we finished version v0.7! The most fundamental change in this version is the addition of sound effects and music. The soldiers are marching, the tanks are thundering, the fire is cracking and the birds in woods are singing. A particular sound effect can be specified for every unit movement. The sounds of terrain mix together and so create an illusion of your units moving through a real nature. The game has now 60 min of its own music (soundtrack)! The songs can be different for each mod but the music is also changing accordingly to the player's situation so that you will feel even more brought into the game. Apart from these changes we also polished the user interface, namely terrain and control panels. 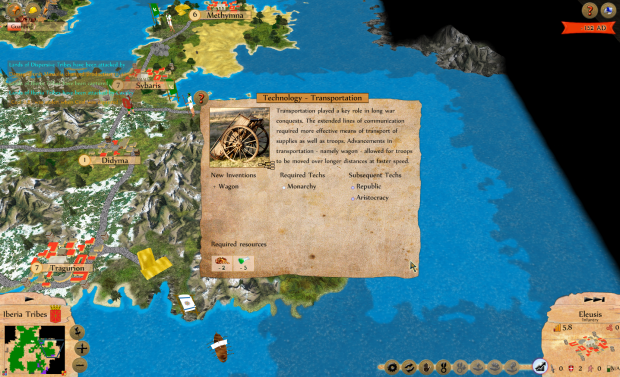 The player can now display various statistics about his country and so better control his army and economy. New in the game is a tutorial. This, compared to other games, doesn't have to be gone through separately before the player starts playing. In our tutorial player learns the unit controls and rules while playing. You can start playing straight away, no need to read or learn something about the game in advance. Finally, we have added another few features to the game. The most interesting ones are terrain improvements - player can change and adjust the terrain and its features through e.g. irrigation, drying-up or cultivation of the land. 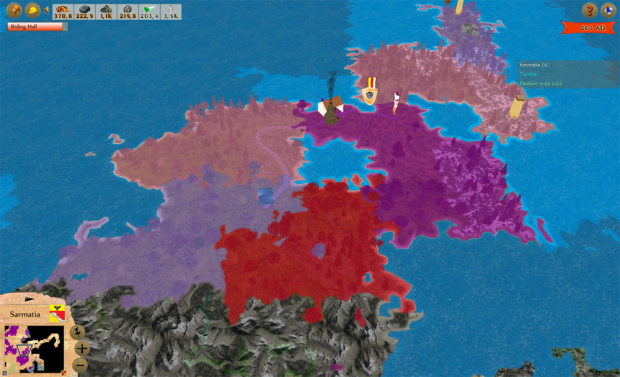 Another interesting feature is incorporating territories into the game. A country is not just one area anymore. It is now a set of territories, which when they are not broken, work better and bring more benefits to the owner. In this moment we are coming back to AI and polishing its behavior. We fully appreciate that computer player is one of the essential parts of the game and we want to impress even the hardest-to-please players. Apart from this we think about adding unit animations which might considerably increase user experience.